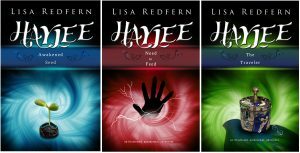 Haylee’s story officially began in the 1980’s with vampire myth research at CSU, Sacramento. It concluded in early spring of 2018 with romance, relationship resolutions, and futuristic environmental concerns. Looking back, it is interesting to see how Haylee’s ‘enchilada’ wrapping evolved over time. As the series end approached, considerable attention had to go toward cohesiveness that would communicate the mood, color pallet, tone, and genre reader expectations for both books. This called for a clearing-out of all previous cover art ideas, current market trend research, and starting over with blank screen. Derek Murphy, a fine artist, book cover designer, and indie author known for renting castles for Nanowrimo, had a significant impact on revised cover design elements with his YouTube video, Why originality in art is worthless. 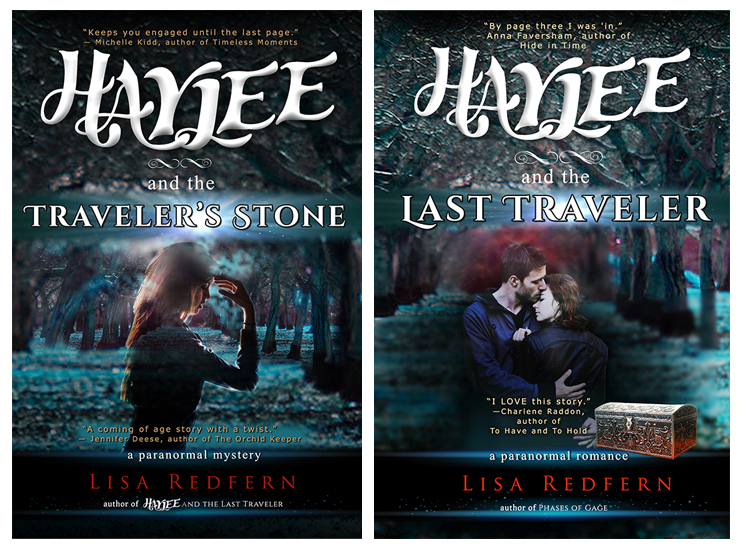 The cover for the first book, Haylee and the Traveler’s Stone, was redesigned to match the second book, Haylee and the Last Traveler. 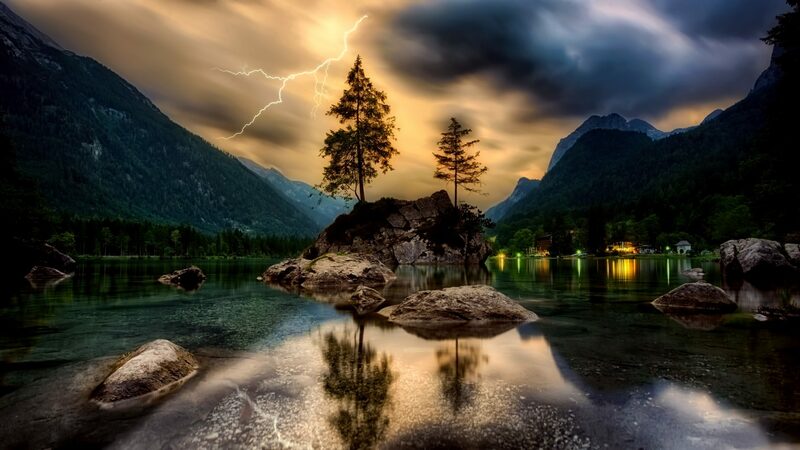 Colors, fonts, and images represent romantic, thriller, and paranormal genres. The image on the left was an iteration or two before the final design. The center image, above, was used extensively on writers forums while work was in progress. It illustrates a sci-fi genre orientation. The image, above, at the left, was used as the print and e-book covers from 2014-2018. The two images on the right were initial experiments with color and layout. 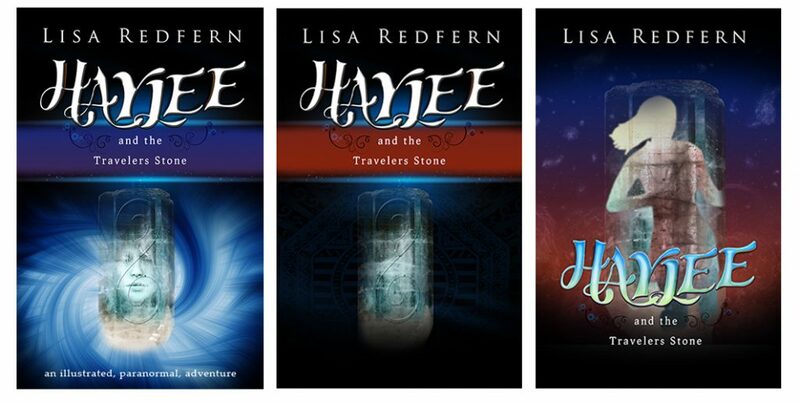 The first book in the series, Haylee and the Traveler’s Stone, was divided into three e-novellas. This marketing strategy was an attempt to attract readers with a quick read and a low cost of entry. The Traveler’s Stone e-book novella series was a marketing failure. It did not perform as anticipated; what it did do was create reviewer confusion! 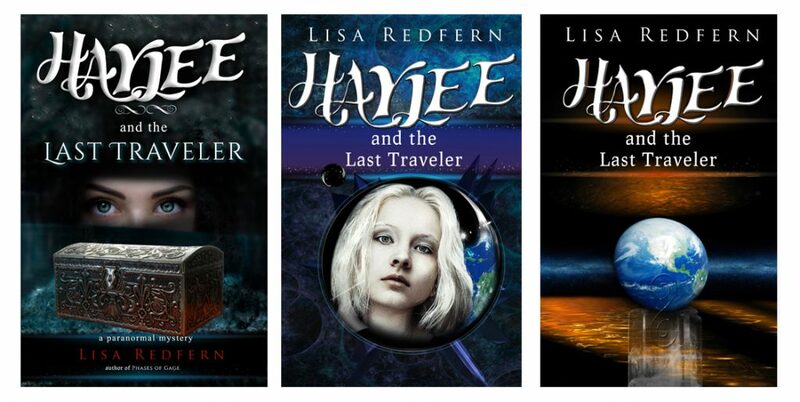 Once both Haylee and the Traveler’s Stone and Haylee and the Last Traveler were finished, it was easy to delete those confusing titles from Amazon. Mood, colors, and fonts specific to the genre should take precedence over too much detail in a cover design. An effective design will appeal to readers, entice them to hit the ‘buy’ button, and accurately represent the contents that the ‘enchilada’ wrapper contains.